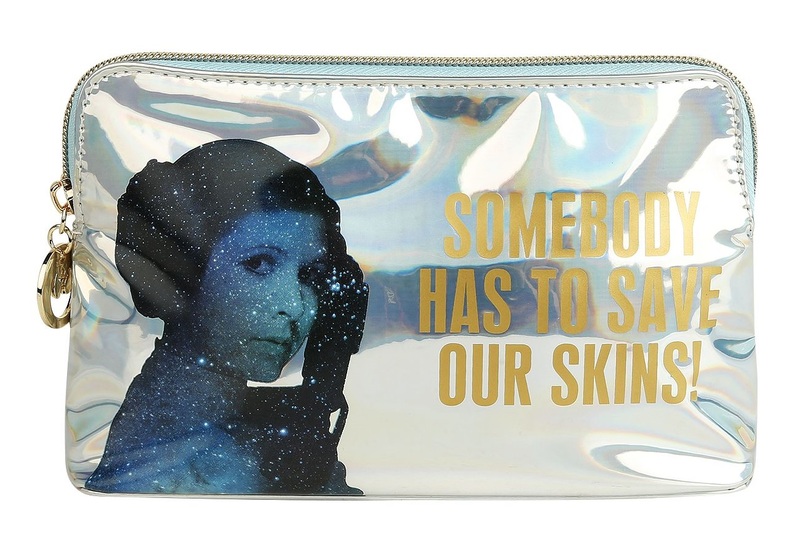 This Star Wars Princess Leia makeup bag is now available at EMP Online. 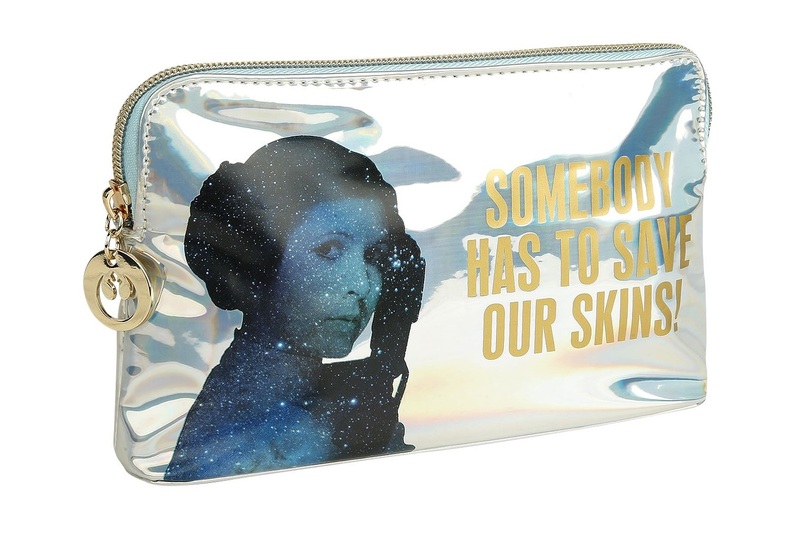 The hologram vinyl bag features Princess Leia on the front, along with the quote ‘Somebody Has To Save Our Skins’. 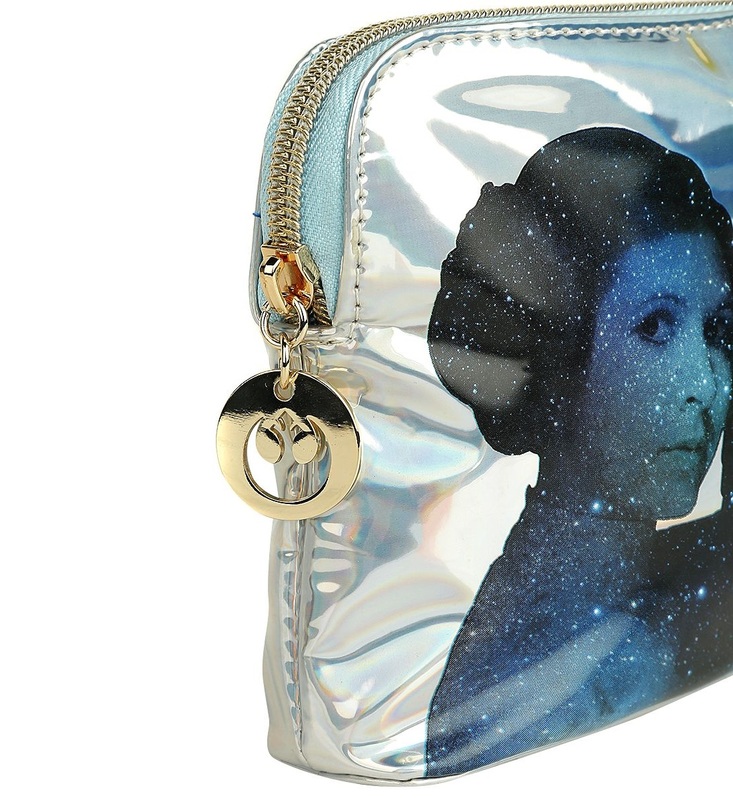 The back of the bag features the classic Star Wars logo, while the top zipper pull has a gold-tone charm with a cut-out Rebel Alliance ‘starbird’ symbol. 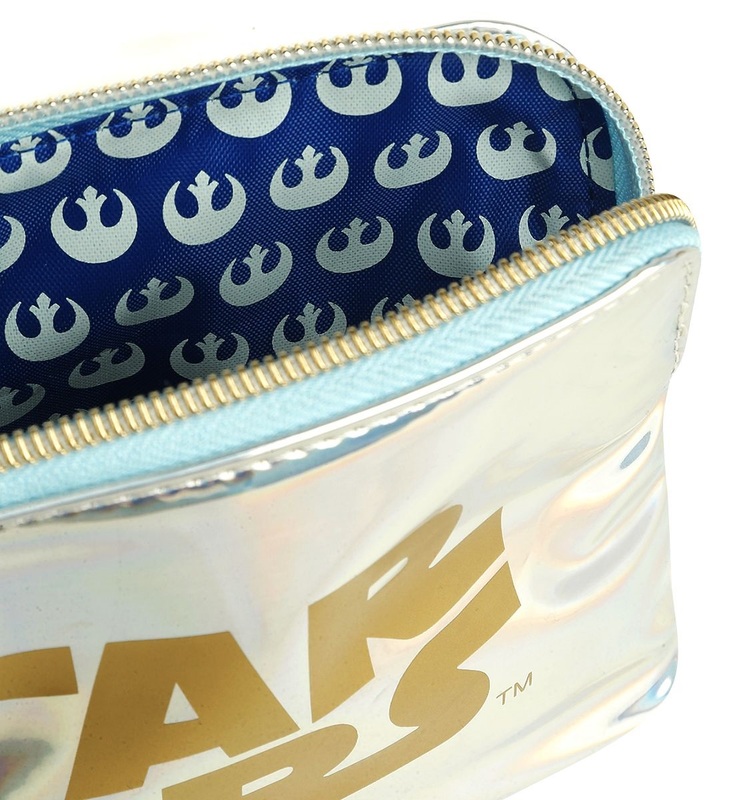 Inside there is blue lining fabric with a repeating Rebel symbol print. 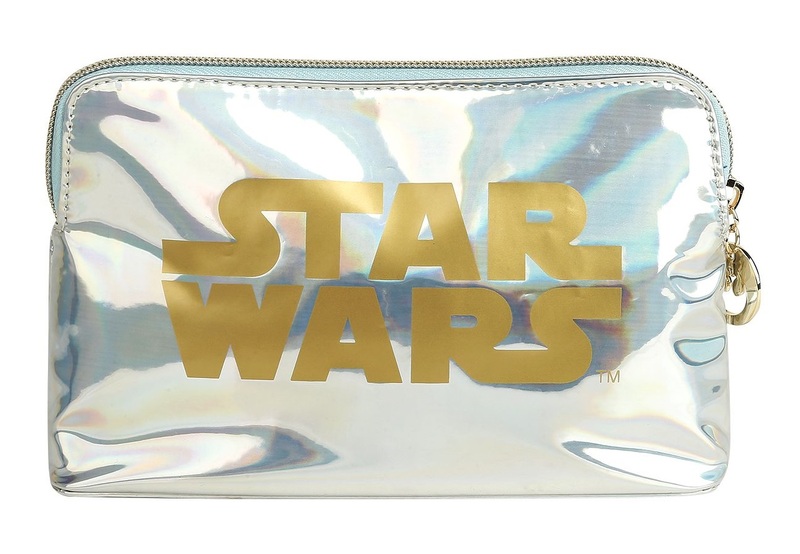 The bag measures approximately 20cm by 12.5cm by 5cm. 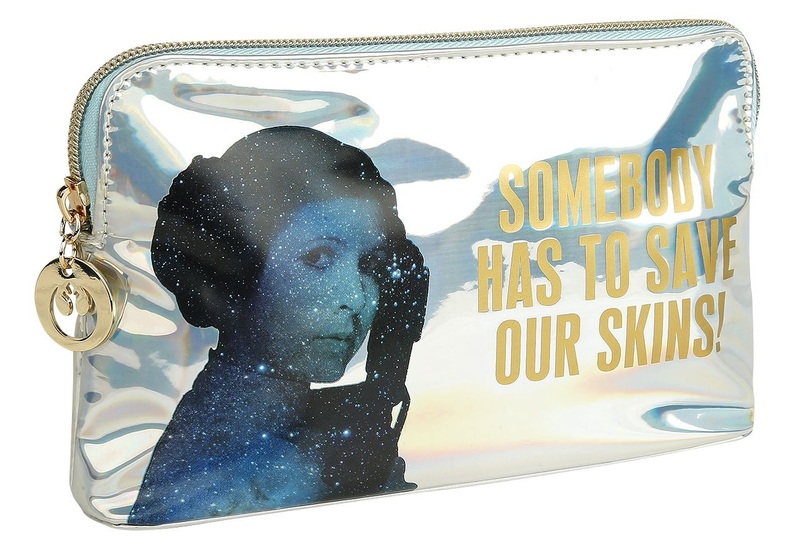 The makeup bag is priced at €29.99 each (approximately US$34.22 each) – EMP Online can ship internationally.